Club in suburb of England’s second largest city seeks manager to avoid return to second tier. Applicant must improve on results which have included away draws at Chelsea and Everton, getting a point at home against Arsenal, and winning at Old Trafford. Opportunity to work with Nicholas Anelka. Although AVB’s dismissal got the majority of the attention, there were actually two Premiership managers who lost their jobs last weekend as Steve Clarke was shown the door marked “Exit” by West Bromwich Albion following their 1-0 defeat at Cardiff. As I pointed out above (I know, disappointing but these postings are not actually real…) Clarke had led Albion to their first away victory over Manchester United since 1978 and had come within a soft penalty award in the final minute of beating Chelsea at Stamford Bridge. However, over the course of 2013, the club have picked up an average of less than a point a game – which is relegation form – and it was this long-term trend which led the board to decide to make the change now as they sit only two points above the relegation zone. There has been a level of stability at the Hawthorns that was not there in the previous decade, as this is their fourth consecutive season in the Premiership, whereas the club had been demoted in three of their four previous campaigns at that level (surviving only in 2004/5 on the final day). South Wales club seeks manager who can work well with a hands-on owner. Applicant must be willing to listen to advice on team tactics, not mind if his staff get replaced on a whim, not require any money to be spent on transfer fees, and love the color red. Actually, owner has decided to just appoint a friend of his instead, do not bother sending resumes. 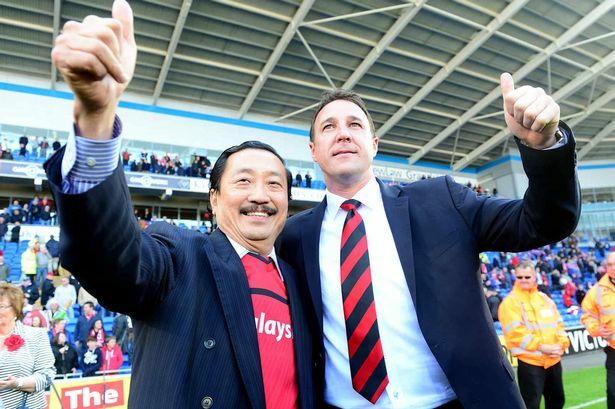 Yes, it seems that Malky Mackay’s reign as Cardiff boss will come to an end this weekend, as Malaysian owner Vincent Tan has reportedly told him to either resign or be sacked, which this Saturday’s game against Liverpool likely to be his last in charge. This will be one of the most ludicrous dismissals in the Premiership for some time, as the Bluebirds who now play in red sit 15th in the league, closer to 10th (3 points) than the relegation zone (4 points) and they have earned four points in their home matches against the two Manchester clubs. However, it does not seem that Tan is running a meritocracy and the chances of Mackay still being employed by Christmas are looking very slim. One man who is not about to lose his job, despite his team’s recent stumbles, is Arsene Wenger, who last weekend saw his Arsenal side beaten 6-3 at the Etihad by Manchester City. It was an incredible, pulsating game that was great entertainment and City deserved their victory – though they were fortunate on a number of decisions that went their way – but the Gunners should be heartened that they did not let their heads go down and continued to fight to the end. This was a complete contrast to the capitulation of Spurs on the same ground, who conceded the same number of goals but failed to make a contest of it in the way that Arsenal did. After falling behind to a Sergio Aguero strike – who was later forced to come off with an injury which could keep the Argentinian out for eight weeks – the Gunners equalized through Theo Walcott, before Alvaro Negredo restored the home team’s advantage five minutes before the break. In the second-half, Fernandinho had extended the lead to 3-1 before Walcott scored again, then David Silva and another from Fernandinho made it 5-2 with two minutes to go. That was not the end however, as Arsenal continued to fight and pulled it back to 5-3 through Per Metersacker, but the icing on the cake for City came through a last-minute penalty converted by YaYa Toure. While they did not allow their heads to go down in that match, what cannot be ignored is that the Premiership leaders have now failed to win any of their last three matches (home to Everton, away at Napoli and City) and their advantage at the top has now been cut to only two points over Liverpool and Chelsea. By the time they take on the Blues at the Emirates on Monday night, Arsenal could find themselves down to third in the table (if Liverpool and Manchester City win their fixtures) and a defeat to Chelsea could see the Gunners drop down to fourth by the time Santa makes his rounds. 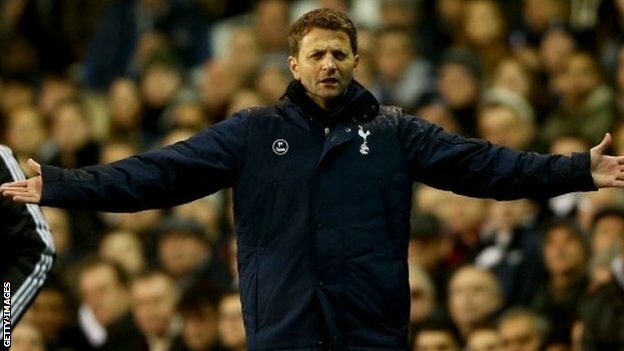 However, as a Tottenham fan, I would not mind the “troubles” of having your lead at the top of the Premiership cut to a point where, due to the timing of fixtures, you may be temporarily be knocked out of first place before having the chance to move back there a couple of days later. Elsewhere last weekend, Manchester United returned to winning ways by beating Aston Villa 3-0, with Danny Welbeck scoring twice in the first 20 minutes to ensure that any nerves the Red Devils might have were quickly dispensed with; while Chelsea had a narrow 2-1 win over Crystal Palace at Stamford Bridge, a game that featured Marouane Chamakh’s third goals in as many league matches, the first such streak of his career. Everton continued their strong form by beating Fulham 4-1 at Goodison Park; bottom-club Sunderland earned a point away at West Ham, who will be wishing they got to play at White Hart Lane every week; Newcastle and Southampton shared the spoils with a 1-1 draw in the northeast; Norwich and Swansea ended the same way at Carrow Road; while Hull vs Stoke was unsurprisingly a goalless affair. In the semi-final draw for the League Cup, West Ham were pitted against Manchester City, who got past Leicester City in midweek; while Manchester United – who knocked out Stoke 2-0 in a tie that was delayed for 10 minutes due to a hailstorm – will face Sunderland, after the Black Cats score a last-minute equalizer to force extra time against Chelsea and then won it with an 118th minute goal by Ki. On Monday, the draws for the knockout stages of the European competitions were also made and in the Champions League, Arsenal will face holders Bayern Munich; City take on Barcelona; United were pitted against Olympiakos; and there will be a Didier Drogba/Jose Mourinho reunion as Chelsea meet Galatasary. In the Europa League, Swansea have the daunting prospect of taking on Rafa Benitez’s Napoli, who were unlucky to finish third in their Champions League group with 12 points; while Spurs were drawn against Ukraine’s Dnipro Dnipropetrovsk, who are coached by one of Tottenham’s many former managers, Juande Ramos. This weekend, alongside the aforementioned Arsenal vs Chelsea and Liverpool vs Cardiff; the Sherwood Spurs head to the south coast to face Southampton; West Ham will try to add to Manchester United’s recent woes at Old Trafford; Fulham host Manchester City; Chamakh goes for his fourth goal in a row for Crystal Palace when they play Newcastle; and Roberto Martinez takes Everton to one of his former clubs, Swansea. Sunderland are consigned to being bottom at Christmas – a position that has led to the team being relegated in all but one Premiership season (2004/5 when West Brom were 20th when the turkeys were carved, but as mentioned above, survived on the final day) – regardless of their result against Norwich at the Stadium of Light this Saturday. The other two fixtures see managerless Albion take on Hull, and Stoke meet Aston Villa at the Brittannia Stadium when a win for either side would take them – at least temporarily – into the top half of the table.